What kind of a heating contractor would we be if we didn’t repair fireplaces, right? Well, surprisingly enough we are one of the few HVAC companies in Phoenix, AZ that do! In fact, we provide fireplace and fire pit repairs, maintenance, cleaning, and even remodels to the entire valley – from the Chandler, Gilbert area all the way to Peoria, Sun City and even Anthem! We don’t let the fact that we are one of the few fire pit and fireplace repair / remodel companies in central Arizona take away from our award-winning customer service. Quite the opposite, we guarantee once our highly-trained fireplace technicians and remodelers have rejuvenated your fireplace or fire pit, you’ll not only use us again, you’ll call us for the other services we provide…and we have you covered literally from A-Z (air conditioning to zone controls) with the same expert service! 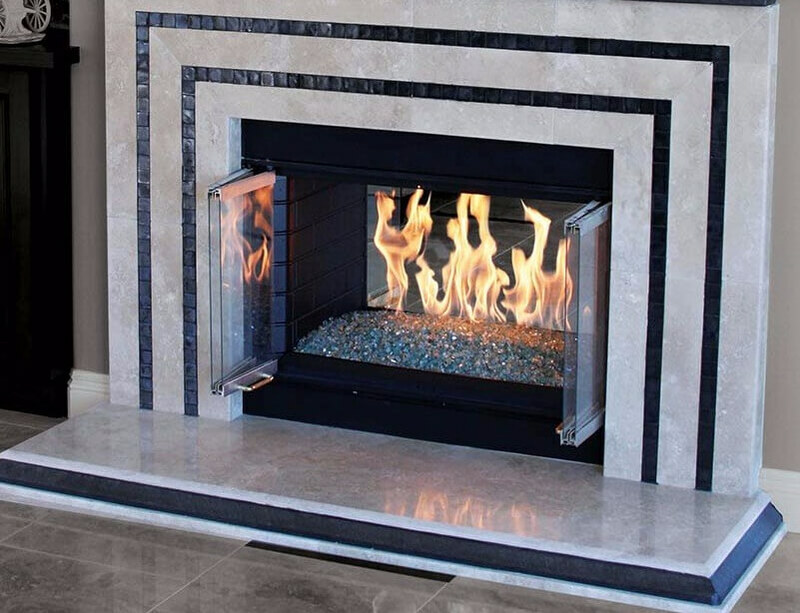 No matter if your fireplace won’t light or stay lit, you want to install a new gas log set, or you’re ready for a super-modern look with a stainless-steel burner pan and colored fire glass – give the experts at Magic Touch Mechanical a call today! Why Choose Magic Touch for your Fireplace Service? For over 20–years, Magic Touch Mechanical has been providing award–winning fireplace repairs, maintenance, and upgrades for homeowners and businesses in the Mesa – Phoenix area. We have been the top–rated fireplace repair company on Angie’s List for years, and have received literally hundreds of A Rated reviews from Angie’s List Members. Schedule a Fireplace Service Today! Call the top rated Arizona Fireplace Company, Magic Touch Mechanical Today!